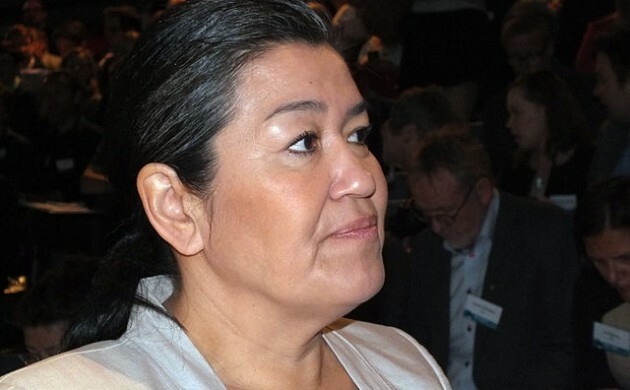 Aleqa Hammond, one of two Greenland’s representatives in the Danish Parliament, has been expelled from Siumut, her political party back home. Siumut party secretary Mikael Petersen confirmed Hammond’s expulsion following a meeting of party leaders on Tuesday. “Siumut can no longer stand behind her as an MP, so she has the option to leave the party or resign as an MP and let a deputy come in,” Petersen told DR Nyhder. Hammond will continue as an independent member of parliament. Hammond’s expulsion came as the result of revelations by Ekstra Bladet that she used a parliamentary credit card for nearly 13,000 kroner’s worth of personal expenses. The card is intended only for use on expenses – such as travel – incurred while doing parliamentary business. Hammond’s excuse that she had only used the credit card because her own personal card had been misused did not fly back at home. “She used the card for personal expenses, and we cannot accept that,” said Petersen. Parliament will now reclaim 13,000 kroner of Hammond’s salary. Just 18 months ago, Hammond was forced to resign as Greenland’s premier after an audit committee stated she had spent over 200,000 kroner in government funds on personal use.